Happy December 1st! This is the start of the season for cookie exchanges, baking, and decadent sweets. 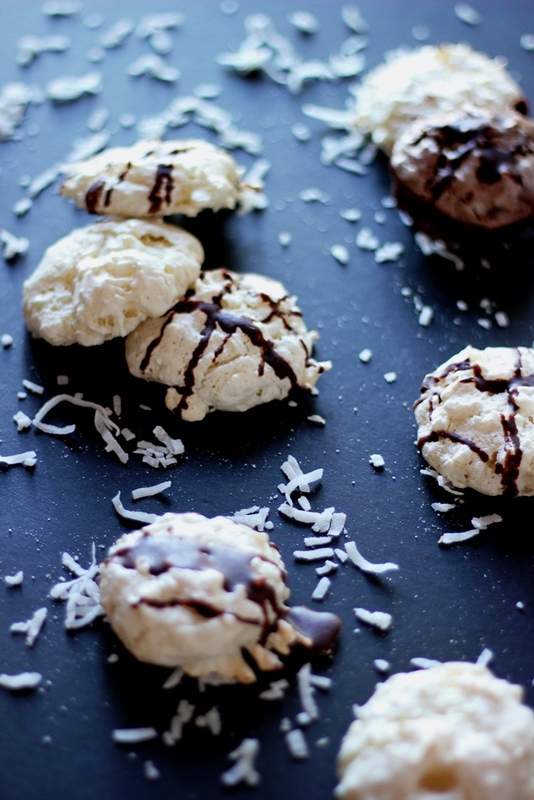 How about adding this recipe for Chocolate Coconut Macaroons to your recipe box this year? 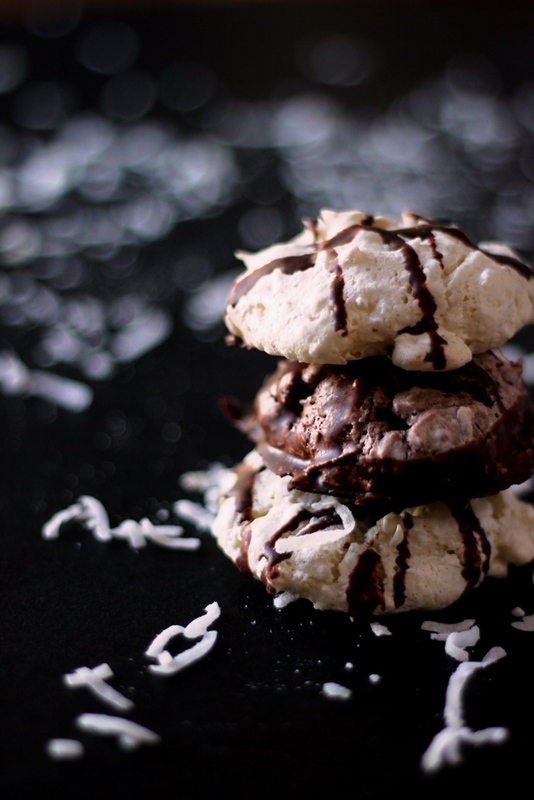 With just a few ingredients and steps this is a very simple cookie to prepare, yet boasts a lovely taste and wonderful chewy inside with crispy, meringue-like outside. For a finishing touch, drizzle with melted chocolate and you have a clear winner on your hands. This particular recipe is based on one I learned from Kaspar Donier when I worked at his Seattle-based catering company as a summer camp cooking instructor. Thank you, Kaspar and Nancy! 1. Preheat oven to 350 degrees and line a baking sheet with parchment paper or a silicone mat. 2. Whisk egg whites with sugar until soft peaks form. 3. 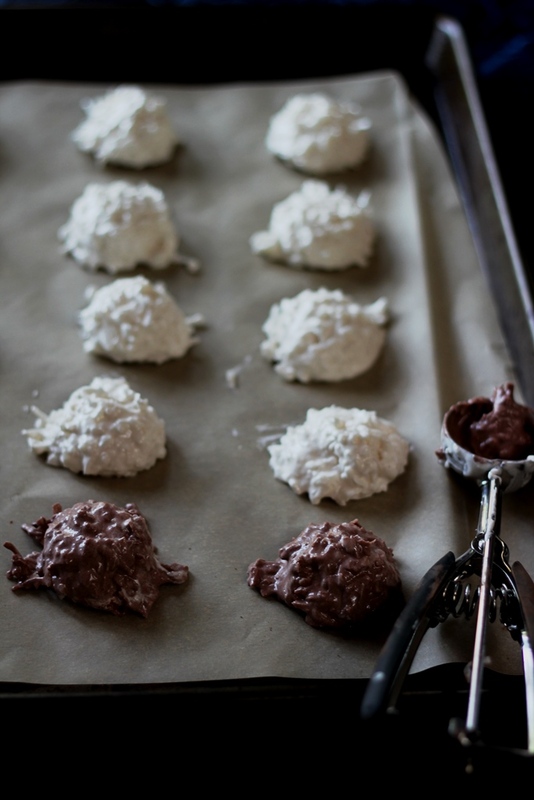 Mix together flour and coconut to remove lumps. 4. 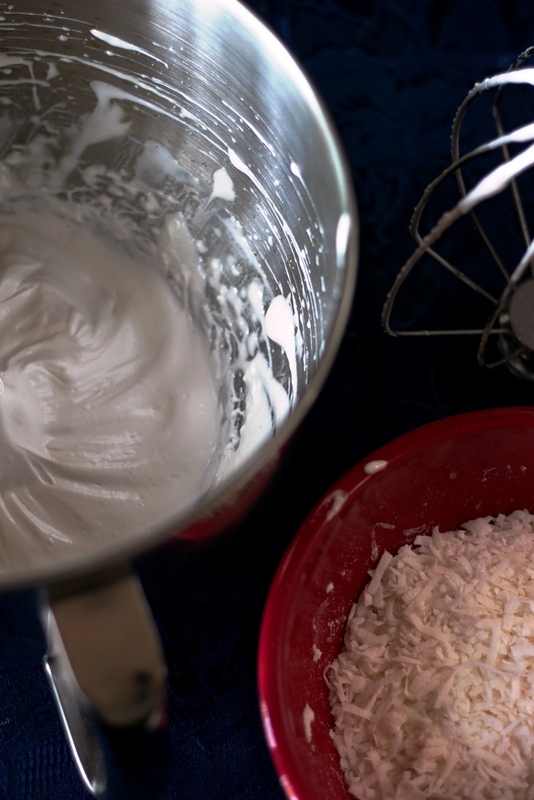 Combine flour and coconut with whisked egg whites, folding carefully. Add vanilla and cocoa flour. Do not over mix. 5. Scoop the batter on the prepared baking sheet and bake for 15-20 minutes until almost set, but still slightly loose in the center. 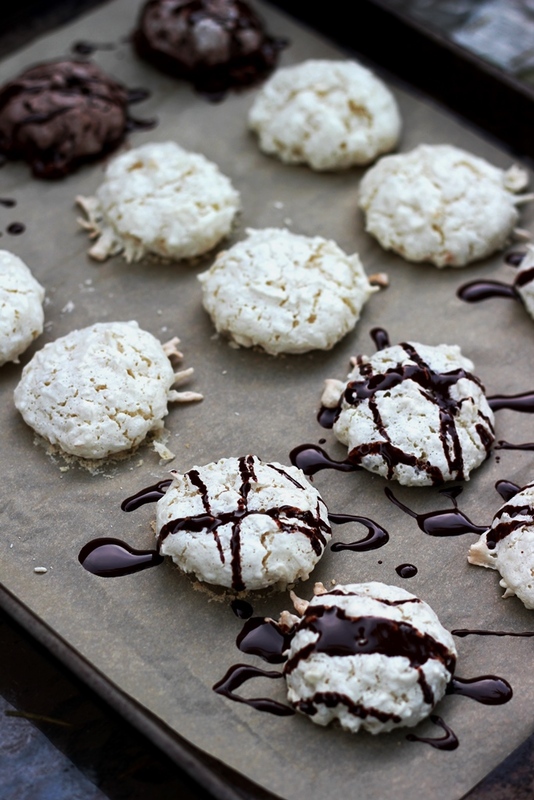 If you are baking plain macaroons, they will be slightly brown on top and the bottom. 6. Cool completely and drizzle with melted chocolate, if desired. Ohh my goodness I must try these! They look so delish! They sure do – thank you! I hope you give them a try.